This post is kindly sponsored by Marvelous Midge who offered Paul, Yoda, and I to test out a sample of their t-shirts. 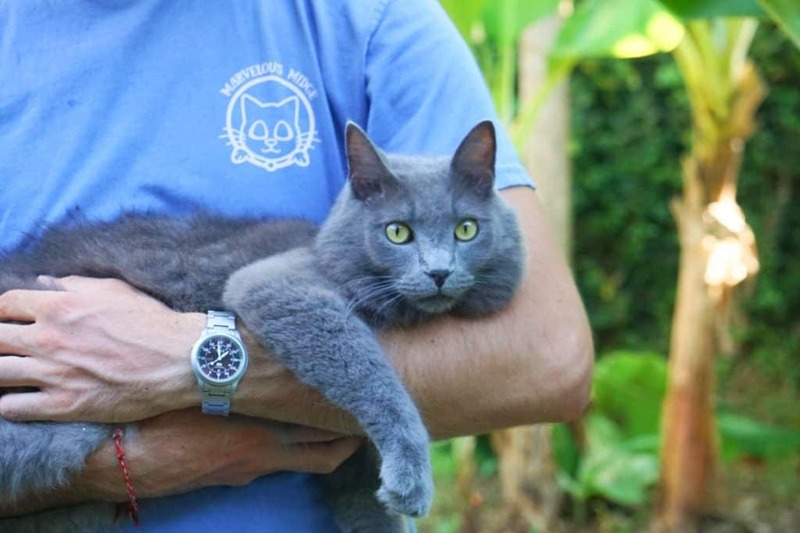 10 percent of MM’s net profits go to rescues and shelters to prevent cats from being homeless. Check out our honest review! Who are the folks behind Marvelous Midge and what do they do, you ask? Let us tell you in our complete review! Like all great brands, Marvelous Midge began with a purpose in mind. In order to realize their dream of saving animals, their family created Marvelous Midge. 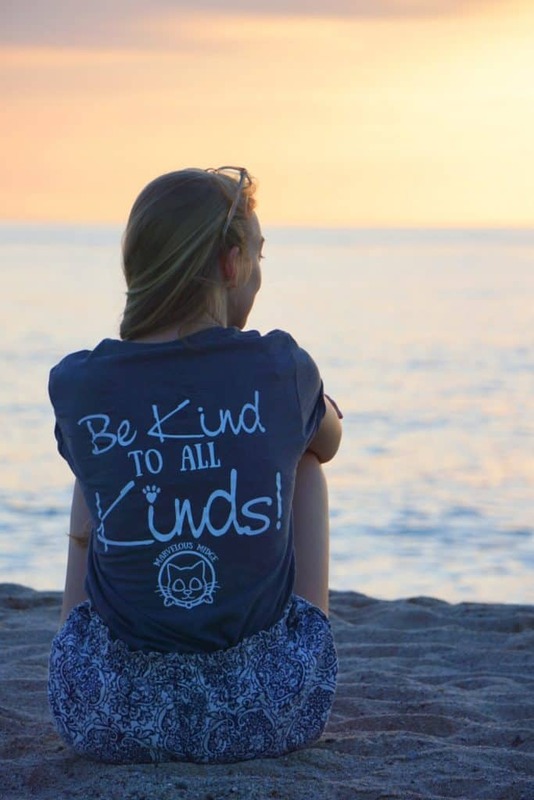 Selling quality apparel, fun cat-themed buttons or earrings is just a means to an end; which is ultimately to raise money for cat shelters and rescue organizations, teaching others to take action in the community, and inspiring others to do the same! That’s why Paul, Yoda, and I were stoked to partner with Marvelous Midge. We love the family-run business’ who strive to do better for our beloved pets. 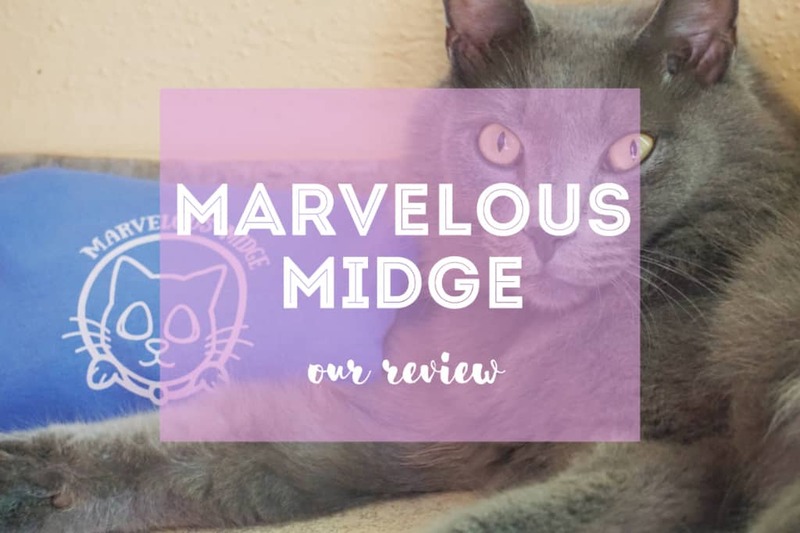 Marvelous Midge commits to donating 10% of their net proceeds to the Animal Friends, shelters, and rescue organizations. Every purchase of a Marvelous Midge product contributes to humane rescue services, the various needs of animal shelters, or adoption services for homeless pets, among others! 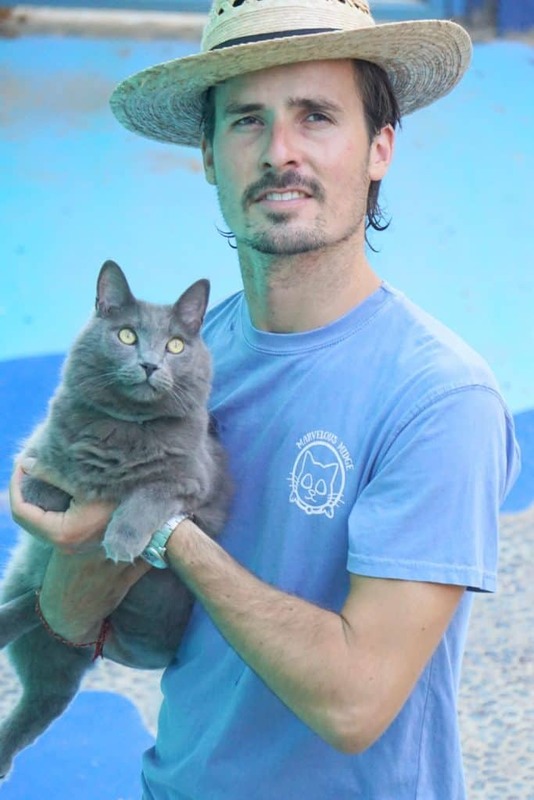 Not only do Lee Ann and her family strive to bring you comfort and quality via cat-themed tee’s, buttons, bags, and more, they also do so while volunteering part-time at local shelters and stores. Addie, her daughter, also participates in the community by walking and pet sitting doggies in need. This is a business that loves to give back which is all the more reason why we love to support them in their endeavors. When Lee Ann approached us with a potential partnership, we were excited yet anxious that it might not work out due to us now living in Mexico. 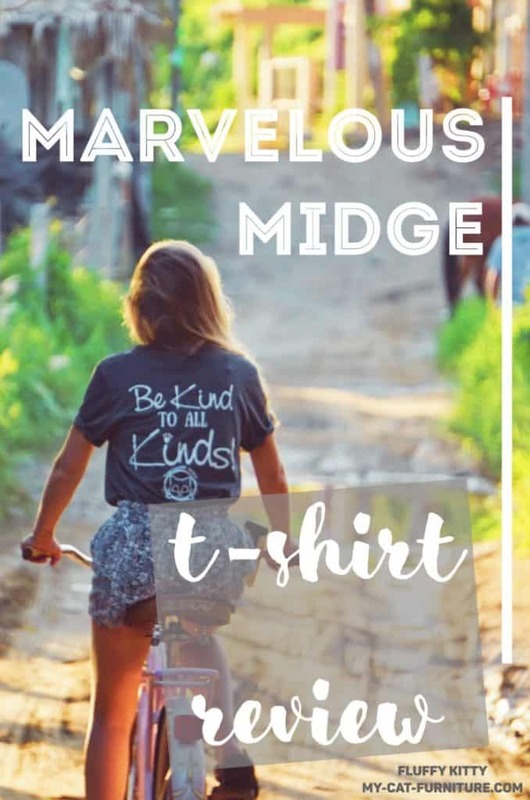 But that’s no problem for the team at Marvelous Midge, who speedily shipped us not one, but two Marvelous Midge t-shirts and a cute Marvelous Midge sticker! Now both Paul and I can wear our Marvelous Midge t-shirts out and about. Our tee’s arrived sweetly rolled up and tied with a thread inside a pawprint bag. Taking them out, the shirts were immediately soft to the touch, odor-free, clean, and ready to wear. As a bonus, a colorful, striped Marvelous Midge sticker and a contact card were also inside the bag. The first t-shirt is their “peri-blue paisley super soft tee” which is indeed super soft!! The color is a light blue-purple (Paul argues blue, I argue purple) with a baby pink decal featuring a large Marvelous Midge logo on the back and a small one on the front. Funnily enough, because Paul thought the shirt was blue with white (and not light purple with pink), he chose to wear this one out for the photos. Then, once he saw the shirt on the pictures, he said, “What?? It’s pink! !” 🙂 Hahah. Nonetheless, although the paisley tee is cute and dainty, it does look great on both men and women! 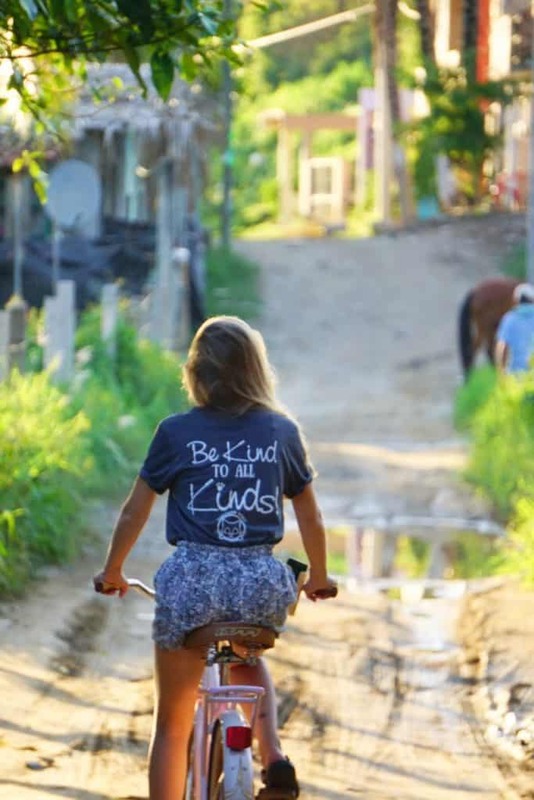 The second t-shirt is their “be kind to all kinds grey tee” which features their “be kind” logo in large on the back, with a small MM logo on the front. This shirt is less soft to touch but is very comfortable to wear. Both shirts were size Small, which were large on me (below my waist) but they fit Paul perfectly (who is a men’s size S-M). Luckily, I like large shirts to sleep in as much as I like to wear them with a little belly knot or tucked into my shorts! The small size will fit most young adults and adults. Above all, we love the enthusiasm expressed from Lee Ann and Marvelous Midge! 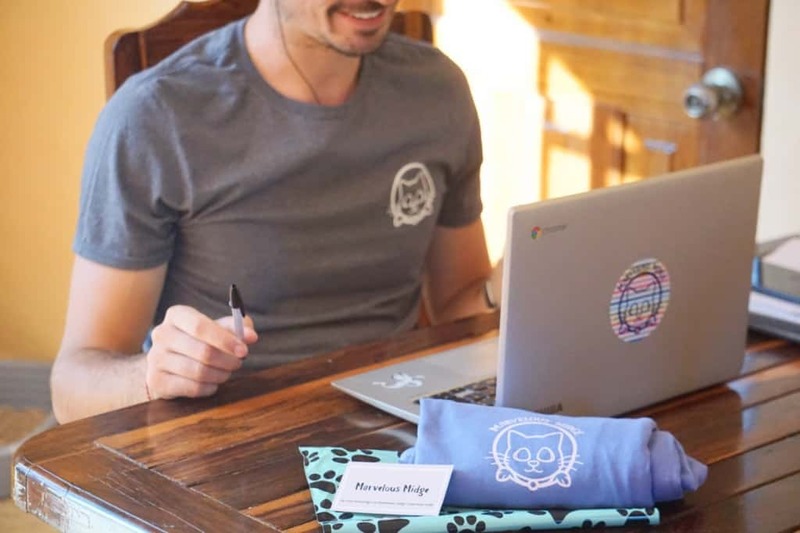 We think that they are very motivated and dedicated to their mission to help animals and provide pet owners a way to express their kitty love via cat-themed products. Lee Ann was a breeze to communicate and partner with and we’re so pleased to have met her and her family’s passion for Marvelous Midge. We are confident that Marvelous Midge will provide you with excellent service, no matter your issue. Marvelous Midge guarantees a full refund within 30 days of purchase. One special feature of the Marvelous Midge website is their blog. 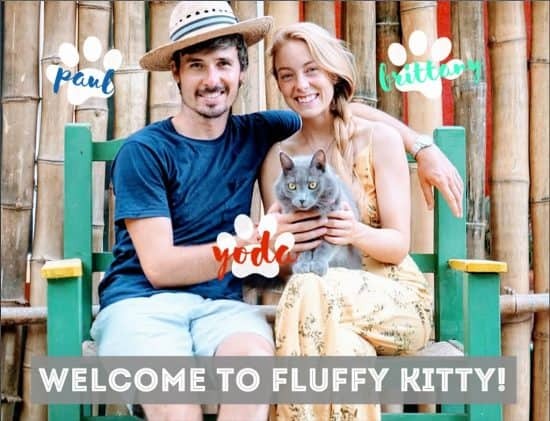 Follow along on their journey of saving the kitties! You can also follow along on their active Instagram feed to be in know about new projects, giveaways, discounts, new products, and more! With the humidity and heat right now on the coast in Mexico, wearing anything that’s not light and fresh is a struggle. Luckily, the Marvelous Midge tees are light and soft. We loved taking photos out on the town and at the beach together for this review. We hope you enjoyed it!! Let us know your thoughts, reflections, and feedback in the comments below. You can also contact info@marvelousmidge.com with any question you may have! If everyone does their part in consuming less, or at least more responsibly, this world would be in a healthier place. Want to learn more about the clothing industry? 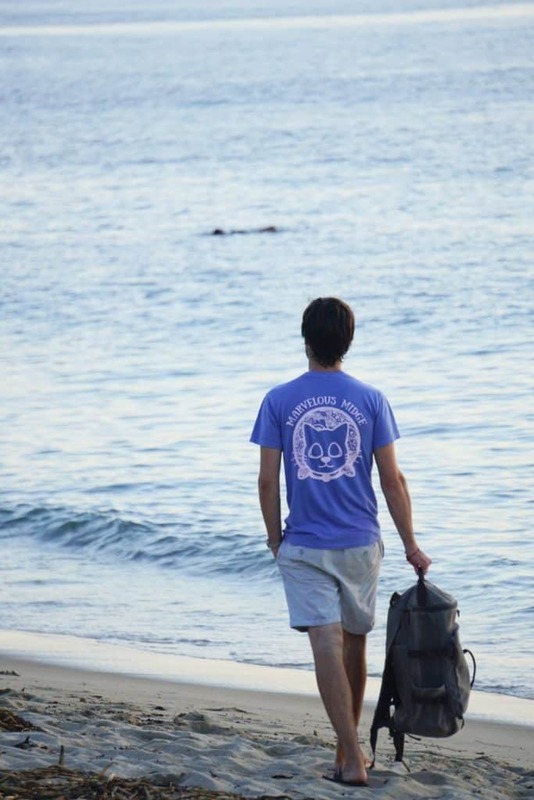 Read the book, “Let my people go surfing” by Yvon Chouinard, the founder of Patagonia. Paul and I are just finishing it up and have a completely different outlook on life. Next Post Should I Sedate My Cat for Travel or Not?? Great review guys. Loved the beach shots!